The rear of the Newton Pizza parking lot as pictured on June 7, the day following the discovery of Thomas Thum's body in the rear of this parking lot. Photo by Jennifer Jean Miller. 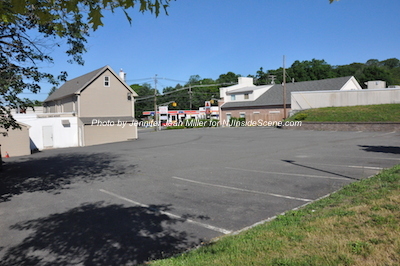 NEWTON, NJ – The Newton Police Department and the Sussex County Prosecutor’s Office are investigating the death of a resident whose body was discovered early Saturday morning June 6 in the rear of the Newton Pizza parking lot. The body of Thomas Thum, 53, was located in the pizzeria’s parking lot on Sparta Avenue at approximately 6:30 a.m. and reportedly by a delivery person who was making a stop to Newton Pizza while on their delivery route. Both the Newton Police Department and Sussex County Prosecutor’s Office are advising the public that “there is no cause for public alarm,” a comment that Newton Police expressed on its Facebook Page. Several residents reported to NJInsideScene.com yesterday morning they had driven by the scene as the investigation was in process and experienced some traffic tie ups, with traffic very slow and then reportedly detoured at some point during the investigation. These residents prior to 9 a.m. and after 10 a.m. reported that the body was still present at the scene and covered with a sheet as they drove by. Authorities had sealed the scene perimeter with tape, with residents around the area reporting Newton Pizza’s driveway was temporarily sealed off, as well as the walled area from behind the pizzeria in the DMV parking lot, plus borders around the DMV and Merriam Gateway Apartments also closed off with tape at the time of the investigation. The news of Thum’s death was a trending local topic on social media, with one resident reporting a friend in Virginia picked up the phone and called him after hearing the news. Others on social media expressed upset because they had reported seeing photos on Facebook that bystanders took at the scene as they watched from the sidelines during the investigation, with Thum’s body visible in the photos. Some who reported seeing the photos said the posting of photos showed disrespect to the decedent and his family. Authorities have released no further information on the case as law enforcement awaits the Sussex County Medical Examiner autopsy report with details into the cause of Thum’s death. NJInsideScene.com will continue to follow this story as it develops. 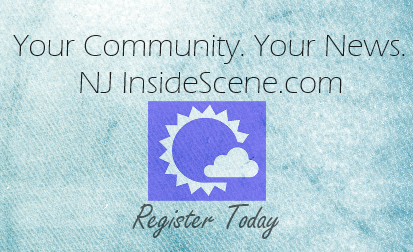 Stay on the scene with NJInsideScene.com and click here to follow us on Facebook.